Administrative Law Judge (ALJ) Adeniyi A. Ayoade, Office of Administrative Hearings (OAH), State of California, heard this matter in San Ramon, California, on October 10, 13, 14, and 27, 2011. Sarah L. Daniel, Attorney at Law, appeared for the San Ramon Valley Unified School District (District). District’s Director of Secondary Special Education and Special Education Local Planning Area Director, Karen Heilbronner, attended all days of the hearing. Susan Foley, Attorney at law, appeared for Parents on behalf of Student (Student). Both Parents (Mother and Father) were present on all hearing days. Assistive technology (AT) services consultation for two hours per month. 1 To maintain a clear record, District’s closing brief has been marked as Exhibit 66, and Student’s closing brief as Exhibit M.
2 The sole issues are as framed in the Due Process Hearing Request, and as clarified in the September 14, 2011 Order Following Prehearing Conference and at the hearing. District requests an order finding its February 8, 2011 IEP offer, as to its offers for SL therapy, AT services, and placement in the moderate SDC program, provide Student with a FAPE in the LRE. District further requests that OAH authorizes it to implement the IEP without parental consent. District contends that its February 8, 2011 IEP offer of placement and services to Student for the SY 2011-2012 offered Student a FAPE in the LRE. As relevant to this case, District maintains that its IEP offers of SL therapy, AT services consultation, and placement of Student in the moderate SDC were designed to meet Student’s unique educational needs and provide some educational benefits to Student in the LRE. Student argues otherwise, contending that District’s IEP offer of February 8, 2011 would not provide her with a FAPE in the LRE, because in order for her to receive meaningful educational benefits, she requires a more restrictive educational setting than the offered moderate SDC program. Student contends that the offered SL therapy and AT consultation services were inadequate to meet her unique needs. Student argues that because the AT services offered were consultative services, and not direct services provided by a speech and language pathologist, she would not have received meaningful educational benefits from the AT services. 1. Student is a 12-year-old girl who at all relevant times resided with her parents within the boundaries of District. 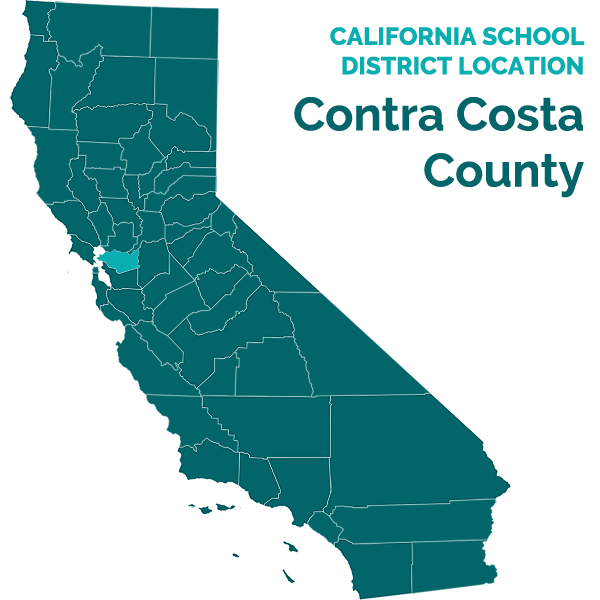 Currently, and during the SY 2011-2012, Student is in the sixth grade at Arbor Bay School (ABS), a non-public school (NPS) in the city of San Carlos, which she has attended since first grade. Since second grade, Student’s placement at ABS has been pursuant to her IEPs. 2. Student’s needs are not in dispute in this due process hearing, as both parties agree that Student has severe speech apraxia, which has delayed both her speech and impacted her academic performance. She is eligible for special education as a child with speech and language impairment (SLI). 3. As part of her SLI disability, Student is documented to have childhood apraxia of speech. 3 As a result she has significant receptive and expressive language delays, articulation and comprehension issues, issues with sound sequencing, and omits sounds and syllables. Her development of vocabulary is also delayed and she has trouble with pragmatics/social language. Otherwise, she is quite social and does enjoy people. Even though her speech can be unintelligible sometimes, Student enjoys interacting and engaging in conversation with peers and adults. 4. Due to her disability, over the years Student has received specialized instruction, special education related services and supports. Parties agree, and the evidence established, that Student continues to be impacted by her disability. Student requires a small classroom setting, ongoing SL and AT services, and other related supports, and accommodations including the use of an Augmentative and Alternative Communication (AAC) device, in order to benefit from her education. During her placement at ABS, District funded SL and AT/AAC services for Student. 4 Student has not raised any claims that District denied Student a FAPE due to any procedural violations, failures to properly assess Student, ascertain accurate present levels of performance or develop appropriate and measurable annual goals. Accordingly, this decision will not address those areas. 5. An IEP is an educational plan that must address all of a student’s unique educational needs, including the student’s academic, social, emotional, communicative, physical, and vocational needs. In order to provide a FAPE, the IEP must be designed to address the student’s unique educational needs and be reasonably calculated to provide meaningful educational benefits in the LRE. An IEP is evaluated in light of information available to the IEP team at the time it was developed. It is not judged in hindsight. 6. On February 8, 2011, Parents, District personnel, and staff from Student’s NPS held an IEP team meeting. The purpose of the meeting was to review Student’s IEP, and make IEP offers for both the remainder of the SY 2010-2011, including the 2011 extended school year (ESY), and the upcoming SY 2011-2012. 7. The evidence offered at the hearing establishes that adequate and relevant information regarding Student’s PLOPs in all areas related to her unique needs were gathered, provided and discussed at the IEP team meeting prior to District making its IEP offer. The PLOP information was developed mainly by the ABS staff, and the goals were written by ABS staff. The goals, which were consented to by Parents were based on accurate PLOP information presented by staff/providers from ABS. 8. As intended, the February 8, 2011 IEP team meeting resulted in two sets of offers of placements and services for Student. The first offer was for the remainder of the SY 2010-2011 (February 8, 2011 through June 10, 2011) and the 2011 ESY. For the SY 2010-2011, the IEP team determined that Student would remain at ABS through the end of her fifth grade year. Parents fully consented to, and agreed with this portion of District’s offer. Thus, those portions of the February 8, 2011 IEP offers involving the SY 2010-2011 and the 2011 ESY are not an issue in this case. 9. For the SY 2011-2012, the IEP offer included services, supports, and accommodations, particularly in the areas of SL, occupational therapy (OT), and the use of an AT/AAC device by Student. These services were based upon the goals developed by the ABS staff. District offered to implement those goals and provide placement and support at its school site, through its personnel, upon the commencement of the SY 2011-2012. 10. The District members of the IEP team determined, and offered, that Student would receive SL therapy/services four times per week (three individual sessions and one group session) for 30 minutes per session, and two hours per month of AT consultation services. Further, the team determined that Student would transition to a District’s middle school at the beginning of her sixth grade year (SY 2011-2012). For that SY, she would be placed in a sixth grade moderate SDC in the District, and would be mainstreamed in the general education environment for 20 percent of her school day. For the mainstreaming, Student would participate in general education lunches, recesses, physical education, and other elective classes like cooking. Parents were invited to visit two middle schools in order to determine which of the two schools offered would best meet Student’s needs. In a letter dated June 12, 2011, District provided Parents with prior written notice and formally offered the moderate SDC program at Charlotte Wood Middle School (Charlotte Wood) as the LRE for Student. 11. In a letter dated May 27, 2011, Parents rejected District’s offer for the SY 2011-2012, and Student has remained at ABS. While Parents rejected the entire IEP offer for the SY 2011-2012, as defined by Student’s issues, she only contests the legal validity of the offer to place Student in the District’s moderate SDC program, along with the offers of SL and AT consultation services. 12. A special education student must be educated with non-disabled peers to the maximum extent appropriate, and may be removed from the regular education environment only when the nature or severity of the student’s disabilities is such that education in regular classes with the use of supplementary aids and services cannot be achieved satisfactorily. Therefore, placement must foster maximum interaction between disabled students and their non-disabled peers in a manner that is appropriate to the needs of both; the law demonstrates a strong preference for mainstreaming. 13. Student’s February 8, 2011 IEP contained numerous goals, particularly in the areas of speech and language, reading comprehension, writing, mathematics, OT (relating to motor control), management and organization, and academics, among others. 14. Because Parents had not indicated their school choice of District’s campuses, had rejected the IEP offer, and the beginning of the SY 2011-2012 was approaching, District formally offered the moderate SDC program at Charlotte Wood as the LRE for Student in a letter dated June 12, 2011. Student argues that this placement was not appropriate for her, as she required a more restrictive setting like ABS in order to make educational progress. None of the parties has argued that Student requires a lesser restrictive setting than the moderate SDC program offered by District. 15. Both parties agree that Student requires a high adult-to-student ratio in order to benefit from her education. At ABS, Student received educational benefits from a ratio of up to 1:6. The evidence established that Student would continue to receive educational benefits with similar ratio, even with a ratio as high as 1:7. Student’s middle school program at ABS is a multi-grades classroom, serving students between sixth and eight grades. It has 12 students and two co-teachers, 5 an adult-to-student ratio of 1:6. At District’s moderate SDC at Charlotte Wood, the adult-to-student ratio during the SY 2011-2012 is not more than 1:3, as the classroom has one credentialed teacher and two paraeducators who assist with small groups and individual academic and social instructions of nine students. 6 Further, while the evidence established that the moderate SDC classroom may have up to 14 students, such number would not affect Student’s ability to receive educational benefits, as Student could receive educational benefits with adult-to-student ratio of up to 1:7. 5 As discussed in more detailed below, the second co-teacher at ABS is not a credentialed teacher. 16. The design and composition of Student’s classroom at ABS does not appear to be significantly different from District’s moderate SDC. Both have students with varying needs and both are well staffed to provide students with low adult-to-student ratio, and to ensure that students receive small group and individual supports and attention. Student has made progress in such setting. Further, while Student’s fifth grade teacher at ABS, Ms. Karine Herndon, is a special education teacher with mild-moderate teaching credential, the District’s SDC teacher, Ms. Kara Teach is also a special education teacher holding a moderate-severe teaching credential. Both Ms. Herndon and Ms. Teach are qualified to students with SLI. 17. District’s February 8, 2011 offer was heavily influenced by ABS staff who prepared Student’s PLOP information, goals and recommendations for needed services, supports, and accommodations to appropriately implement the goals, among others. Based on the evidence, the February 8, 2011 IEP was designed to continue the educational progress Student had received at ABS based on the prior IEPs. At the hearing, Ms. Herndon, Student’s teacher at ABS, who attended the February 8, 2011 IEP team meeting and is familiar with Student’s unique educational needs, admitted that Student could receive educational benefits in a public school program, if necessary support is provided. She described Student as social, motivated to socialize, and capable of benefiting from mainstreaming. 18. The evidence showed that Student made progress at ABS, the evidence fails to show that she would not receive comparable or even greater educational benefits (social and academic) in District’s placement. The moderate SDC teacher at Charlotte Wood, Ms. Teach, is a credentialed special education teacher. She holds a bachelor’s degree and a moderate-severe special education teaching credential. Ms. Teach has relevant voice output device experience and could adequately utilize Student’s AAC device to aid her instruction of student. Ms. Teach is qualified to teach students in the moderate SDC, and qualified to teach individuals with SLI including Student. The evidence showed that Ms. Teach could implement, and would implement Student’s February 8, 2011 IEP appropriately. She would work collaboratively with all of Student’s providers including Ms. Meredith Fischer, 7 (speech pathologist), Ms. Wendy Burkhardt, 8 (AT/AAC specialist), and the occupational therapist in order to ensure that adequate support is received and that Student’s IEP is implemented appropriately. 6 The class has eight students most of the time and a ninth student comes in irregularly based on his/her IEP. 7 Ms. Fischer is qualified to provide SL therapy to Student. She has a teaching credential and is licensed as a speech pathologist by the State of California. Further, she holds a master’s degree in speech pathology (1975) and a bachelor’s degree in speech pathology and audiology (1973). Ms Fischer has worked in special education assessing and serving special needs student since about 1975. She has participated in numerous IEP team meetings, drafted IEP goals for several students, and contributed to program development and implementation for several special needs students. In her career, she has worked in three school districts as a SL pathologist, and with students of ages ranging from pre-school to high school. Also, she has worked in early intervention programs serving children from 18 months to three years of age. In her current position as the SL pathologist for the District, Ms. Fischer works at two middle school sites, including Charlotte Wood, where Student would have been placed. She works with mild/moderate, moderate, and moderate/severe SDC students regarding their SL needs. 19. Regarding the qualifications of District’s SDC paraeducators, especially when compared to the qualifications of ABS’s classroom aides, often referred to as “co-teachers,” the evidence fails to establish any significant difference in the hiring requirements. Based on the evidence, in order to be hired as either a District’s paraeducator or ABS’s co-teacher, the applicant is only required to have received a high school diploma. Therefore, the evidence nonetheless fails to establish that ABS’s co-teachers are more qualified that Student’s paraeducators, or that any such difference would deny Student a FAPE. 20. One of the two paraeducators in the District’s moderate SDC class at Charlotte Wood for the SY 2011-2012, Ms. Tiffany Zorh, holds a multi-subject moderate-severe special education credential. Ms. Zorh is qualified both to implement and assist in the implementation of Student’s IEP. Thus, the evidence fails to show that the paraeducators in the District’s moderate SDC are not qualified, or would be unable to appropriately implement Student’s February 8, 2011 IEP together with the credentialed and qualified SDC teacher. 21. District’s SDC teacher, Ms Teach, described her classroom curriculum as dynamic, comprising of various activities, both individual and groups. Her students’ daily activities include verbal social-greeting activity in the morning, journal project comprising of writing and sharing of written projects for language development. The groupings of the students are based on their abilities and skills levels pertaining to the activities being done. After, the students transition to small groups for reading and comprehension activities and independent study. Reading comprehension and phonemes are taught to students using computers. Then the students take their bathroom-break and go to lunch. After lunch, her students participate in physical education, additional academic/other instructions, which may include history, language arts, science, reading, and students’ electives. 8 Ms. Burkhardt has a bachelor’s degree in elementary general education and a master’s degree in special education, and Level 1 and 2 credentials in early intervention and early childhood special education. She received her AT certification from California State University, Dominguez Hill in 2011. Prior to becoming the AT specialist, Ms. Burkhadt was a moderate to severe SDC teacher for about five years. She has held other positions including paraeducator, special education teacher, behavior analyst, and autism specialist, among others. Ms. Burkhardt has experience teaching in both special education and regular education classrooms. She currently teaches at San Jose State University teaching AT to special education teachers seeking AT certification. 22. The SDC class focuses on language development all day and language is integrated into various activities throughout the day. When the students are out of her class for their general education (GE) electives, other teachers are advised of various students’ communication models so those could be practiced in the GE environment. Ms. Teach is able to work with Ms. Burkhardt regarding Student’s SL and AT/AAC device and needs. 23. Ms. Teach credibly testified that Student’s goals could all be appropriately implemented in her moderate SDC. She explained that each of Student’s goals is similar to the goals of other students in her class at the present, and that she has been able to serve those students and implement their goals appropriately. Based on Student’s functional academic and social skills, she explained that Student will fit right in, in her classroom. Student’s functional and performance abilities will put her right in the middle range of the moderate SDC and she would be able to benefit from the specially designed SDC curriculum based on the skills of the SDC students. Further, Student would be able to receive individual academic instruction based on her academic skill, due to the low adult-to-student’s ratio in her class. 24. Ms. Fischer demonstrated that she could implement Student’s SL therapy appropriately, use Student’s AAC device during SL therapy sessions, and that Student would receive educational benefits. Further, according to District witnesses, including Ms. Frances English, 9 supervisor of District’s Middle School Special Education Program, Ms. Kara Teach, the moderate SDC teacher at Charlotte Wood, Linda Spencer, 10 District Supervisor of Special Education, and Ms. Heilbronner, Student’s unique educational needs could all be met within the moderate SDC at Charlotte Wood, and that the program was calculated to provide Student with educational benefits. 9 Ms. English has been District’s Program Supervisor for Special Education for the last four years. She has a bachelor’s degree on English and Sociology, and a master’s degree in Educational Leadership. She holds single subject credentials in both English and Social Studies, and received her administrative credential in 2007. She has worked in education for about 15 years, and has held various positions including a general education classroom teacher, teaching English and social studies. In her role as District’s Program Supervisor, she supervises the middle school special education program in six school including Charlotte Wood, assists IEP teams to locate resources and District’s programs and services, helping parents understands the special education system, procedures and the law, among others. 10 Ms. Spencer is a Speech Pathology licensed by the State of California since 1978. She has a master’s degree in Speech Pathologist and Audiology (1975) and a bachelor’s degree in Psychology (1973). She received a second master’s degree in Education Administration in 1989. She holds a multi-subjects general education credential, a Clinical and Rehabilitative Services for speech pathology credential and an administrative credential. She has over 25 years experience in education and has held various positions including speech pathologist, special education teacher, general education teacher, and currently the supervisor of special education for the District. She has experience assessing and providing direct services to special needs students of varying ages and grades. She has participated in IEP team meetings, and in the developments of IEP goals, services, supports, and accommodations for special needs students. She is familiar with various special education programs and placement options available at District. She knows Student and has acted as Student’s case manager from the SY 2007-2008 through SY 2011-2012. She attended the February 8, 2011 IEP team meeting. 25. In her role as the supervisor of District’s middle school special education program, Ms. English supports all of her middle school programs and does visits the moderate SDC program at Charlotte Wood at least two times per week. She has supported, and would continue to support Ms. Teach to ensure proper implementation of Student’s IEP in the SDC. 26. Ms. English and other District’s staff have observed Student at ABS and are familiar with Student’s strengths and functional skills. Ms. English and other District’s staff established that, while they believed, at the time of the February 8, 2011 IEP team meeting, that ABS was too restrictive for Student, they understood she should transition back to District at an appropriate break in the academic school year. Therefore, instead of transitioning Student immediately to a fifth grade District public school in the middle of the school year, the IEP offer provided that Student’s transition to District school should occur at the beginning of Student’s middle school sixth grade year (SY 2011-2012). Ms. English’s testimony, corroborated by other testimonies, is persuasive that Student would receive educational benefits from District’s moderate SDC placement offer contained in the February 8, 2011 IEP. 27. Based on the evidence in this hearing, District demonstrated that Student’s goals could appropriately be implemented at the SDC classroom in Charlotte Wood, and her IEP, services, supports, and accommodations could be appropriately implemented. Further, as established below, Student’s SL therapy needs could be met, and her AT/AAC service needs could be appropriately implemented in the moderate SDC classroom. Regarding her other needs, including academics and social needs, the evidence showed that those also could be met in the SDC classroom at Charlotte Wood. 28. As discussed above, Students with disabilities have the right to a FAPE, which means special education and related services that are available to the student at no charge to the parent or guardian, that meet the state educational standards, and conform to the student’s IEP. In California, special education includes specially designed instruction to meet the unique needs of individuals with exceptional needs and related services to enable them to benefit from the specially designed instruction. 29. Parents contend that Student had received two and a half hours of SL services/therapy weekly (five times per week, 30 minutes per session) at ABS during the SY 2010-2011), and that such frequency and duration had allowed Student to make significant progress at ABS in her SL goals. Thus, Parents argued that District’s February 8, 2011 IEP offer of SL therapy at four times per week, for 30 minutes per session (or two hours per week), is inadequate to meet Student’s unique educational needs. As found below, the evidence fails to support their contentions. 30. First, the evidence fails to establish that Student received two and a half hours of SL therapy at ABS during a significant portion of the SY 2010-2011. To the contrary, even though Student’s operative IEP during the SY 2010-2011 provided that Student was to receive SL therapy five times per week, at 30 minutes per session, Student only received SL therapy four times per week for 30 minutes per session during a significant portion of the SY 2010-2011, particularly from September 2010 through the time of the February 8, 2011 IEP team meeting, due to implementation error by ABS staff. 11 During the same period, and despite this error, Student made significant progress in her SL goals according to the corroborative testimonies of Student’s Mother, and Student’s ABS staff including Student’s speech pathologist, Ms. Kimberly Ann McNutt and Student’s AAC provider, Ms. Elizabeth Fletcher. 12 Both Ms. McNutt and Ms. Fletcher worked with Student at ABS over the past couples of years. 31. Ms. Fletcher first met the Student about five years ago and has provided AAC services to her since. Based on the evidence, Ms. Fletcher is familiar with Student, her disability and unique educational needs. Like Ms. Fletcher, Ms. McNutt provides SL services/therapy to students at ABS through ALLS. She currently serves about 20 students at ABS, including Student. She has been employed by ALLS for about four years. Ms. McNutt has been licensed as a Speech and Language Pathologist since 2007, and has served about 100 students since her licensure. She also demonstrated a good understanding of Student’s SL deficits, and the evidence supports a finding that she is familiar with Student, her disability and unique educational needs. 11 However, Student did not identify failure to implement as an issue in this case and it is not addressed in this decision. 12 Ms. Fletcher has a master’s degree in Speech and Hearing Science and a bachelor’s degree in Speech and Language Pathology. Ms Fletcher has about 10 years experience in AAC and has worked with about 60 students during her career providing AAC services. She is not certificated in AAC because no such certificate is issued. However, she received some training in AAC in graduate school and has had some informal training in AAC from mentors. She was once certified in AT (an umbrella discipline under which AAC falls), but that certification lapsed in 2010. Since 2006, she has worked as both SL therapist and AAC “Specialist” with Associated Learning and Language Specialists (ALLS), Inc., ABS’s SL provider. Prior to working for ALLS, Ms. Fletcher worked as AAC Specialist for the Bridge School between 2003-2006, and as a SL pathologist from 2000-2003. 32. Otherwise, the credibility and the reliability of the memory of both Ms. McNutt and Ms. Fletcher were questionable. Both testified at the hearing that the other was responsible for the recommendation made at the February 8, 2011 IEP team meeting that Student’s SL therapy/services be reduced to one hour per week. The recommendation was not accepted by the IEP team and Student’s SL therapy was changed to two hours per week at the February 8, 2011 IEP team meeting. 33. The February 8, 2011 offer of SL therapy services four times per week at 30 minutes per session was based on the recommendations of ABS staff and service providers, including Ms. McNutt and Ms. Fletcher. Both made their recommendations regarding the frequency and duration of Student’s SL therapy based on their experience working with Student and their understanding of Student’s disability and needs. Both established that their recommendations were based on Student’s PLOPs at the time, considering the progress Student had made in the preceding years. 34. Both Ms. McNutt and Ms. Fletcher established at the hearing that relevant information was gathered and considered regarding Student’s SL needs and PLOPs in the area of SL prior to making their recommendations. Both testified persuasively that the recommended frequency and duration met Student’s SL needs, as Student had received SL therapy four times per week at 30 minutes per session during the SY 2010-2011 (the same frequency and duration offered in the February 8, 2011 IEP) and that Student had made significant progress during that SY. Therefore, the recommended three individual sessions and one group session per week would have mirrored the SL services that Student received during a significant portion of the SY 2010-2011, and from which Student made significant progress. 35. According to the credible testimony of Ms. Spencer, Student’s SL goals offered in the February 8, 2011 IEP for the SY 2011-2012, and accepted by Parents, were adequate to meet Student’s SL needs, and the SL therapy/services offered were sufficient to implement the goals. She testified persuasively that Student would have received educational benefits and made progress in her SL goals with the frequency, and duration offered in the February 8, 2011 IEP. 36. District’s witnesses, including Ms. Fischer testified persuasively that Student’s SL goals could fully and adequately be implemented in the proposed SDC program by the District. Ms. Fischer would have been in charge of implementing Student’s SL goals and would have offered SL therapy to Student during the SY 2011-2012. She is familiar with Student and her needs, having observed Student at ABS and reviewed her IEPs. 37. Ms. Fischer was persuasive that Student would make progress on her SL goals with the offered SL services during the SY 2011-2012. Ms. Fischer demonstrated that she has adequate knowledge of Student’s SL needs, and what she must do to properly implement Student’s SL goals and provided required SL services/therapy. According to the persuasive testimony of Ms. Fischer, Student would have received meaningful educational benefits from both the individual and group sessions offered in the IEP. 38. Ms. English also testified at the hearing. She participated in the February 8, 2011 IEP team meeting and demonstrated good knowledge of Student, her disability and unique educational needs, particularly her SLI and District’s February 8, 2011 IEP offer to meet those needs. Ms. English’s testimony was persuasive that Student would receive educational benefits from District’s SL therapy offer. Further, according to the corroborating testimonies of Ms. Fischer and Ms. English, Student would have received educational benefits from both pull-out (1:1) and push-in SL therapy/services as offered in the languageinfused moderate SDC at Charlotte Wood. During the pull-outs Student learns in therapy, and in the push-ins she practices what is learned in therapy in a natural environment, be it a classroom, or a small group activity setting. 39. To implement the offered SL services, Ms. Fischer would work with both the AT/AAC specialist and Student’s SDC teacher in order to ensure that Student’s SL therapy and interventions are generalized and reinforced in the classroom. She would provide the moderate SDC teacher, Ms. Teach, with needed supports regarding how to enhance the teaching of curriculum, as she has always collaborated with teachers and other providers regarding her students’ needs and how to meet them. Additionally, because the moderate SDC is a speech-infused (speech-enhanced) classroom, Student would have additional opportunity to receive supports for her speech issues, learn appropriate speech and conversation skills, and practice her speech with her peers on a daily basis in the moderate SDC program. 40. Student benefits from both small group (up to four students) and individual sessions, depending on what is being taught or the need for Student to practice her speech and language through peer interactions or in group activities. During cross examination, Ms. McNutt concedes that Student does not always require a small group, as she could benefit educationally from SL services/therapy delivered to her in a larger group of up to six students depending on what is being taught. She further concedes that because of Student’s issues with social-pragmatic language, Student could benefit from learning those skills needed for peer-interaction and to carry and maintain conversations with others. She could benefit from a language-rich environment and group activities, including class-wide language enrichment group activities implemented by a classroom teacher. 41. The evidence failed to establish any significant difference between the ABS SL therapy services Student has received, and District SL therapy offer for similar services from District personnel, for a half hour less, as contained in then February 8, 2011 IEP offer. No persuasive evidence was offered showing that the SL offer by District, either as contained in the February 8, 2011 IEP, or as it would be implemented by District staff, would not meet Student’s unique educational needs or provide educational benefits to her. 42. To the contrary, the evidence offered at the hearing showed that Student would receive the same level of SL services received in the prior SY from which Student made significant progress and received meaningful educational benefits. All of District’s witnesses and some of Student’s witnesses, including Ms. Fletcher, agree that Student could receive educational benefits with the frequency and duration of the SL therapy/services offered in the February 8, 2011 IEP. 43. Thus, based on the totality of the record, the evidence establishes that District’s offer of SL services of four times per week, at 30 minutes per session for the SY 2011-2012, as contained in the February 8, 2011 IEP, meets Student’s unique educational needs and confers meaningful educational benefits to Student. Therefore, District’s offer of SL therapy four times per week, at 30 minutes per session provides Student with a FAPE. 44. At the IEP team meeting of February 8, 2011, Ms. Fletcher, Student’s AAC specialist that has worked with Student at ABS, discussed with the IEP team Student AT/AAC needs. Student would need a new AAC device in order to “repair” 13 her speech. She does not need an AAC device for her primary communication, as her preferred means of communication remains verbal/oral communication. Ms. Fletcher recommended that Student be trained to use an alternative (new) AAC device as her prior voice output AAC device (Vantage) was no longer helpful. Among the AAC devices discussed at the IEP team meeting, which the team agreed would be appropriate for Student, are “iTouch” with Touch Chat or Chat PC Silk technology,” or an “IPAD” with similar programs. These devices were considered because of their durability, usability and portability, among others. Ms. Fletcher recommended direct AT/ACC services of one time per week for Student in order for Student to develop her skills using the new device. She did not recommend any AT/AAC goals for Student’s February 8, 2011 IEP for the SY 2011-2012. 45. Based on Student’s AT/AAC needs as discussed at the February 8, 2011 IEP team meeting, and in deference to the recommendations of Ms. Fletcher, the District members of the IEP team determined that Student would try out new devices and require AT/AAC services in order to aid her communication/SL. However, because Student does not have an AT/AAC goal in her IEP, the District decided to offer two hours of consultative AT/AAC services per month in order to support Student’s training and use of a new AT/AAC device, once obtained. Specifically, as documented in the IEP, the consultative AT/AAC services would include training of staff, Student, and Parents, face to face consultation with teams, and set up of programs, devices, and software. 46. Student argues that direct AT/AAC services were necessary in order for her to receive educational benefits as recommended by Ms. Fletcher, and that she requires more AT/AAC services than the two hours per months offered by District. Further, Student contends that she requires an AT/AAC specialist that is also a licensed speech pathologist in order for her to receive educational benefits. The evidence fails to support these assertions or the contention that District’s AT/AAC offer would not provide Student with education benefits. 13 As explained at the hearing, the AAC device is used as an instructional tool only, and for teaching Student proper pronunciation of sounds and words (speech repair), among others. 47. Regarding the issue of whether the AT/AAC services should have been direct or consultative, the evidence showed that Ms. Fletcher’s recommendation regarding direct AT/AAC services was not based on any demonstrated needs of the Student, but rather, on what ABS had done in the previous SY. However, while Student received educational benefits from the direct AT/AAC services provided by ABS in the prior SY, the evidence fails to establish the AT/AAC services consultation offered in the February 8, 2011 IEP would not have met Student’s unique educational needs or that Student would only have received educational benefits from direct AT/AAC services. 48. The evidence fails to establish what direct AT/AAC services would accomplish. According to the testimony of Student’s ABS’s AAC specialist, Ms. Fletcher, working with Student, the job of the AAC specialist would have been to upload necessary programs/software, program required icons, and input appropriate speech models into the device in order for Student to be able to use the device for instruction/speech repair (teaching correct sounds and pronunciations of words, among others), in therapy, or the classroom for her language and communication needs, as necessary. Therefore, any trained staff including Student’s teacher and SL therapist would be able to use Student’s device to aid her access to classroom instruction/curriculum. 49. Ms. Burkhardt, District’s certified AT specialist, is trained in conducting assessments relating to AT, and in various devices, programs and software used to aid the communication needs of special needs students. As the AT specialist for District, Ms. Burkhardt’s responsibilities include training of staff in appropriate use of devices, and providing supports and consultation to staff to support students’ devices used in the classrooms and therapies. She helps students to access the curriculum with their devices, and to navigate various programs/software in the devices. She upgraded and maintains the devices as needed. Based on Ms. Burckhardt’s testimony and the testimonies of other District’s witnesses, Ms. Burkhardt often works with other District’s staff to ensure accurate sharing of relevant information about the students she serves. 50. Ms. Burkhardt has implemented several students’ AT/AAC goals and services, and provided needed supports and consultation to staff regarding the implementation of students’ IEPs and how to appropriately meet the educational needs of special needs students. Ms. Burkhardt has worked in education for about 16 years and in special education for about 13 years out of the 16. She has experience working with special needs students including those with SLI and is familiar with various devices, software and their uses. The evidence supports a finding that Ms. Burkhardt would be able to implement Student’s IEP appropriately. She has the relevant background and experience to support Student’s AT/AAC device use. She would train staff and others to support and implement Student’s AT/AAC services and accommodations offered in the February 8, 2011 IEP. 51. The evidence shows that Ms. Burkhardt is able to load the programs/software, program required icons and appropriate speech models on the device during the offered AT/AAC services consultation hours. Ms. Burkhardt is able to train other District’s staff and services providers, including Student’s SDC teacher -Ms. Teach, and District’s speech pathologist, Ms. Fischer, on how to program, use or otherwise navigate the device so they are able to use the device effectively to assist Student. According to corroborating testimonies of Ms. Burkhardt and Ms. Fletcher, ABS’ AAC specialist, others can be taught to work with the device as described above. 14 Therefore, based on the offered collaboration and training of Student, staff, and Parents, as contained in District’s February 8, 2011 IEP offer of AT/AAC services, all appropriate persons would be trained to support Student’s use of the device. 52. Ms. Spencer and Ms. Burkhardt testified corroboratively and persuasively that District’s offer of AT/AAC consultation services of two times per month was both appropriate and adequate. Because Student’s IEP does not contain AT/AAC goals, both agree that it would have been inappropriate to pull-out Student from required or important classroom instructions in order for her to receive such direct AT/AAC services. Both explained that such direct AT/AAC services would have been unnecessary and improper for Student. 53. At the hearing, Ms. McNutt and Ms. Fletcher testified that Student’s AT/AAC specialist must also be a licensed speech pathologist in order for Student to appropriately receive AT/AAC service. Their testimonies were unpersuasive, especially as neither provided good basis for their respective opinions. Other than the fact that Ms. Fletcher, the AAC specialist that worked with Student at ABS during the SY 2010-2011, was also a speech pathologist, neither was able to establish that Student could only receive educational benefits from service delivery model wherein the AT/AAC services is provided by an AT/AAC specialist who is also a speech pathologist. To the contrary, Ms. McNutt admitted that Student could receive educational benefits from the AT/AAC service offered by District, even when such services are consultative rather than direct. 54. Further, Ms McNutt agreed that other staff, rather than a speech pathologist, can work on Student’s device and may be trained to assist with programming, navigation, uploading icons, building vocabularies, and so on. Therefore, the basis of Student’s argument that an AT/AAC specialist must also be a speech pathologist in order for her to receive educational benefits is lacking in any legal or factual support. In this case, and as discussed above, Student’s IEP provides her with adequate access to a speech pathologist. Student would have three direct one-to-one sessions and one group session with the speech pathologist per week during her SL therapy. Therefore, the evidence fails to establish a need for a second speech pathologist in order for Student to receive a FAPE. 14 Otherwise, Ms. Fletcher demonstrated no knowledge of District’s programs and services, as she never observed the SDC classroom at Charlotte Wood. 55. Regarding the issue of whether the two hours per month of offered consultative AT/AAC services is adequate to address Student’s needs, both Ms. Spencer and Ms. Burkhardt established that, as designed, District’s AT/AAC offer included a transition plan in order to facilitate a prompt and effective training of Student and staff in the new device. The transition plan, which was part of the IEP offer, provides for direct consultation with staff, and training of Student, Parents, and staff. The training and consultation, which were organized into phases based on staff competencies and Student’s proficiency with the device, would be provided throughout the SY 2011-2012. 56. Based on the transition plan, Student’s AT/AAC services consultation would be front-loaded during the first four weeks during which period Student would receive four hours per month of AT/AAC consultation services -an average of one AT/AAC service per week, which is the same amount of time reflected in Ms. Fletcher’s recommendation. During the front-loaded period, Student, her SDC teacher, and other providers would be trained on how to use and work with the new device (how to load programs on it, how to program it, navigate it, and use it to assist Student in her instruction and therapy, among others). The AT/AAC services frequency would be in place, and would only be reduced to two times per month as Student mastered her new device. 57. Based on the totality of the evidence, District’s offer of two hours per month of AT/AAC services is adequate to address Student’s need for the AAC device, training and services. Student would receive educational benefits from the AT/AAC services offered in the February 8, 2011 IEP. Further, the need for direct AT/AAC services is not established in this hearing as discussed above. Therefore, the evidence established that District’s AT/AAC offer, as contained in the February 8, 2011 IEP offer, was designed to confer educational benefits on Student, and Student would receive such educational benefits from the offer. 58. A special education student must be educated with non-disabled peers to the maximum extent appropriate, and may be removed from the regular education environment only when the nature or severity of the student’s disabilities is such that education in regular classes with the use of supplementary aids and services cannot be achieved satisfactorily. The determination of whether a particular placement is the “least restrictive environment” for a student involves an analysis of four factors, including: 1) the educational benefits to the child of placement full-time in a regular class; 2) the non-academic benefits to the child of such placement; 3) the effect the disabled child will have on the teacher and children in the regular class; and 4) the costs of educating the child in a regular classroom with appropriate services, as compared to the cost of educating the child in the district’s proposed setting. 59. The evidence showed that Student requires significant specialized instruction because of her significant speech delays and learning skills. Based on Student’s disability and needs, no party has argued that she should be placed in a regular education program, either full time or with special education resources support. Ms. Spencer (District’s Supervisor of Special Education) and Ms. English (Supervisor of District’s Middle School Special Education Program) credibly testified that they are familiar with District’s entire continuum of educational programs, including special services and supports. The February 8, 2011 IEP team considered various placement options for Student, including ABS (Student’s NPS), and District’s SDC program. At least two SDCs in two different schools were discussed and considered. 60. Regarding its February 8, 2011 IEP offer and the appropriateness of the District’s decision to place Student in the moderate SDC at Charlotte Wood as LRE, District established that the moderate SDC placement at Charlotte Wood is an appropriate program based on Student’s disability and needs, as well as her strengths and motivation. District witnesses persuasively established that keeping Student at ABS is too restrictive for Student and that she would make educational progress and receive a FAPE from its offer. 61. As established above, the overwhelming evidence in this case establishes that Student would benefit from the moderate SDC program and the offered AT/AAC and SL therapy services. Parents and most of Student’s witnesses have not observed the moderate SDC at Charlotte Wood, and thus were unable to present persuasive evidence regarding parts or components of the moderate SDC program that they believe are not appropriate for Student. 62. In the District’s moderate SDC classroom, Student would receive her IEP agreed-upon related services including SL and OT services, support, and accommodation, including AT/AAC services consultation to aid her use of an AT/AAC device, among others. She would be mainstreamed in the general education environment for 20 percent of her school day. Several of District’s witnesses and even Student’s own witnesses agree that the moderate SDC program would provide Student with educational benefits. Student currently possesses a number of functional skills and abilities, and is highly motivated to engage socially and interact with her peers. Thus, despite her verbal communication challenges described by Mother and others, the overwhelming evidence supports a finding that the Moderate SDC classroom model at Charlotte Wood, as described and established in this hearing would benefit the Student. 63. Further, District’s moderate SDC at Charlotte Wood is appropriate for Student, in that most of the students in the moderate SDC classroom are similar to Student academically, and that most have similar needs and challenges like Student. Student’s social/emotional, academic, and SL needs, among others, could be met in the classroom due to the class structure, small classroom size, and low adult-to-students ratio, as well as the language-infused curriculum used in the classroom. Student would have access to appropriate and typically-developing peers. Through its many witnesses, District successfully demonstrated that the moderate SDC placement is appropriate for Student, because as discussed above, Student could and would make educational progress in the placement. 64. Regarding non-academic benefit of the SDC placement to Student, Student enjoys group and whole class activities more than independent work, she is a wonderful team player and skilled at being a leader or playing supporting roles. She enjoys hands-on learning (cooking, experiment, and art), is energetic, and is a curious person who loves to learn. She has a wonderful sense of humor and is kind to others. She is also quite social and someone that “enjoy people.” Therefore, District’s offer would provide Student greater opportunity for mainstreaming and allow her social access to typically-developing peers. Student demonstrated interest, motivation and strength in this area and the totality of the evidence suggests that she would benefit from opportunity for social interactions. Based on the evidence, students at ABS eat at their desks, and Student has very limited opportunity to interact with typically developing peers outside the classroom at ABS. 65. According to the corroborative and persuasive testimonies of Ms. Teach, Ms. English, and Ms. Spencer, the moderate SDC at Charlotte Wood would provide Student with mainstreaming opportunity with peers both in the SDC program and general education students during lunches, recesses, physical education, and other elective classes like cooking. Overall, Student would have about 20 percent mainstreaming opportunity on each day of school. Because Student is demonstrated to be quite social and outgoing, the evidence established that Student would benefit from these mainstreaming opportunities. 66. At the hearing, Mother testified that she doubts whether Student would benefit socially from mainstreaming or interaction opportunities with typical peers offered in the February 8, 2011 IEP. She described several prior failed attempts by Student to interact socially with peers. Specifically, Mother described an episode when Student was ignored by her peers in softball as she attempted to engage in conversation with her teammates. She described similar difficulties when Student would attempt to engage in conversations with her girls scout peers. Mother explained that the issue in those instances relates to Student’s verbal unintelligibility. 67. According to Ms. Susan Rose, 15 ABS Director, Student enjoys her friends, is talkative even though she is difficult to understand, she enjoys recess and games and wants to join in groups and activities. Student participated in ABS’s Student Council, a voluntary students’ body. While Ms. Rose testified that she does not believe that Student would benefit from a general education physical education due to her motor deficit, her testimony fails to establish that Student would not have received other educational benefits, including social/peer interaction opportunities. In fact, Ms. Rose agreed that social and mainstreaming opportunities are an important component of an appropriate IEP for Student, with small setting and adequate support. 15 Ms. Rose has a bachelor’s degree in occupational therapy and a master’s degree in Human Services Administration. Her responsibilities as ABS Director include day-to-day supervision of staff, screening potential staff, doing community outreach, and ensuring certification and compliance by ABS. Prior to becoming the director, she has worked as an occupational therapist in private practice. 68. Parents have not observed District’s moderate SDC classroom at Charlotte Wood. Therefore, Mother’s opinion that student would not benefit from the mainstreaming opportunities offered in the classroom appears speculative, and thus not persuasive. Further, while Mother is credible in describing her frustrations, and Student’s frustrations and difficulties engaging in conversations with peers, the evidence fails to establish that Student had not benefited, or would not continue to benefit from such engagements. To the contrary, the evidence does show that Student is quite social and does enjoy people. While Student’s success in such interactions may be limited, she enjoys the social interactions and engagement with peers and others. 69. The evidence does not support the assertion that District’s peers would be the same as those of Student’s softball team or the girls scout. The evidence fails to establish that Student’s conversations with peers cannot be facilitated by District staff in other to reduce the impact of Student’s challenging verbal ineligibility. The moderate SDC class at Charlotte Wood is “speech-infused,” and speech and language is taught, emphasized and facilitated throughout each school day. 70. Overall, District successfully established that Student could benefit educationally, both academically and socially, from its IEP offer as contained in the February 8, 2011 IEP. The moderate SDC at Charlotte Wood and the mainstreaming opportunity offered to Student as part of District’s offer on February 8, 2011 would benefit student. Further, the evidence showed that Student would benefit from District’s SL therapy offer, as well as its AT/AAC services consultation offer. Based on the evidence, the offer would meet Student’s unique educational needs and allow her to receive meaningful educational benefits. 71. Therefore, the evidence supports a finding that the moderate SDC at Charlotte Wood is LRE for Student, and that Student would receive a FAPE in the SDC program as offered in the February 8, 2011 IEP. 1. Under Schaffer v. Weast (2005) 546 U.S. 49 [126 S.Ct. 528], the party who files the request for due process has the burden of persuasion at the due process hearing. The Student filed the request for due process, and therefore has the burden of persuasion in this matter. 6. Local educational agencies must ensure that a continuum of program options is available to meet the needs of individuals with exceptional needs for special education and related services. (Ed. Code, § 56360.) School districts are required to ensure that a variety of potential educational placements are available to special education students, including placements in general education classes, special day classes, and resource classes at district schools, and placement at certified non-public schools if appropriate. There is no requirement that every possible program option available in a school district be addressed at an IEP meeting. Did District’s February 8, 2011 IEP deny Student a FAPE in the LRE when District offered to place Student in its moderate SDC program? 10. Pursuant to Legal Conclusions 2 through 9 and Factual Findings 9 through 29, and 58 through 70, District met its burden on this issue. As stated in Legal Conclusion 6 through 8, an analysis of the least restrict environment must consider four factors: (1) the educational benefits to the child of placement full-time in a regular class; (2) the nonacademic benefits to the child of such placement; (3) the effect the disabled child will have on the teacher and children in the regular class; and (4) the costs of educating the child in a regular classroom with appropriate services, as compared to the cost of educating the child in the district’s proposed setting. In addition, if it is determined that a child cannot be educated in a general education environment, then the question is whether the child has been mainstreamed to the maximum extent that is appropriate in light of the continuum of program options. 11. Here, evidence established that Student could be educated in a general education environment, with supports. District has met its burden in establishing that District’s offer of placement in the moderate SDC class at Charlotte Wood constitutes a FAPE to Student because the placement meets Student’s unique needs and provides her with educational benefit. As established in Factual Findings 9 through 27, District, moderate SDC class focuses on language emphasized and integrated into the curriculum throughout each day. The mainstreaming opportunities, including those that are available during recess/passing time, lunches, physical education and electives (e.g. cooking) would develop and strengthen Student’s social skills and serve her motivated interest in peers engagement and interactions. In comparison, the ABS placement was on a restrictive, private campus with no access to typically developing peers. 12. In the moderate SDC classroom, Student would receive all agreed-upon IEP related services including SL and OT services, support and accommodation. She would receive AT/AAC services consultation to aid her use of an AT/AAC device, among others. She would be mainstreamed in the general education environment for 20 percent of her school day. The evidence established District’s moderate SDC class at Charlotte Wood is appropriate for Student, in that most of the students in the moderate SDC classroom are similar to Student academically, and that most have similar needs and challenges just like Student. The evidence showed that the moderate SDC program would provide Student with educational benefit. 13. Student’s social/emotional, academic and SL needs, among others, could be met in the moderate SDC classroom due to the class structure, small classroom size and low adult-to-students ratio, as well as the language-infused curriculum used in the moderate SDC classroom. Student would have access to appropriate and typically developing peers. 14. As established in Factual Findings 58 through 70, applying the four-part least restrictive environment analysis, Student can make adequate educational progress in the moderate SDC classroom at Charlotte Wood. Student’s academic needs, OT and SL needs, as well as need for smaller classroom and specialized instruction, among others, could all be met in the SDC classroom. 15. Regarding the second part of the analysis, the District could work with Student in the moderate SDC class on all of her needs, academics, SL needs, and social needs. Her apparent motivation to interact with her typically-developing peers is strength for Student. Thus, the evidence supports a finding that Student would receive non-academic benefits from the moderate SDC class at Charlotte Wood. District’s offer allowed Student to transition from a 100 percent special education environment at ABS to more inclusive and lesser restrictive setting in the SDC-SI classroom, and to a smaller classroom public school setting in the moderate SDC class at Charlotte Wood. 16. As to the third part of the analysis, based on the testimonies of several Districts’ witnesses, Student will fit right in, in the moderate SDC class at Charlotte Wood. No evidence of disruption was presented, as several witnesses testified that Student’s need could be appropriately met in the moderate SDC class, with its small class size and low adult-to-student ratio. 17. Regarding the final element in the analysis, neither party introduced evidence regarding the cost to the District to educate Student in the regular education or special education setting and it is not a relevant factor. A weighing of the four factors favors the District’s offer because the evidence showed that Student’s needs could be met at the lesser restrictive setting of the in the moderate SDC class at Charlotte Wood. The classroom structure, specialized language-infused curriculum, and the high adult-to-student ratio would ensure that student needs are met in the small classroom setting of the moderate SDC class. 18. District has established that its IEP offer of February 8, 2011 is intended to provide Student with some meaningful educational benefit in the LRE, and it would provide Student with a FAPE in the LRE. Based on the evidence in this hearing, District demonstrated that Student’s goals could appropriately be implemented at the SDC classroom in Charlotte Wood. Her IEP, services, supports, and accommodations could also be appropriately implemented. 19. Further, as established below, Student’s SL therapy needs could be met, and her AT/AAC service needs could be appropriately implemented. Regarding her other needs, including academics and social needs, the evidence showed that those also could be met in the SDC classroom at Charlotte Wood. Thus, the evidence supports a finding that District’s IEP offer of February 8, 2011 provides Student a FAPE in the LRE. 20. Pursuant to Legal Conclusions 2 through 9 and Factual Findings 28 through 43, District established that Student could receive educational benefit with the offered SL therapy at the frequency of four times per week and duration of 30 minutes per session. Student was not persuasive that an additional half hour each week would make a material difference in her opportunities for progress. Further, the evidence showed that Student had received the same frequency and duration of SL therapy during the SY 2010-2011, and she had made significant progress during the same period. Nothing in the evidence suggest that Student would not have received educational benefits from the SL services offered in District February 8, 2011 IEP. Did District’s February 8, 2011 IEP deny Student a FAPE when it offered Student SL therapy four times per week instead of five times per week? Did District’s February 8, 2011 IEP deny Student a FAPE when it offered Student two hours per month of AT consultation services rather than direct AT services by a speech and language therapist? 21. Pursuant to Legal Conclusions 2 through 9 and Factual Findings 44 through 57, District established that Student would receive educational benefit with District’s offer of consultative AT/AAC services contained in the February 8, 2011 IEP. As designed for implementation, District’s offer of two hours per month of AT/AAC services on a consultation basis with District staff is adequate to address Student’s need for the AAC device and her ability to operate it because the trained school staff would interact with her using the device on a daily basis. District’s AT/AAC offer included a transition plan, organized into phases based on staff competencies and Student’s proficiency with the device, which would have been provided throughout the SY 2011-2012. Based on the transition plan. The evidence fails to establish that the AT/AAC person must also be a speech pathologist. Further, as found above, the need for direct AT/AAC services was not established in this hearing. 22. Based on the evidence, District’s AT/AAC offer, as contained in the February 8, 2011 IEP offer was designed to confer educational benefit on Student, and Student would have received such educational benefit and FAPE from the offer. 23. Overall, pursuant to Legal Conclusions 10 through 22 and Factual Findings 27, 43, 57, 70 and 71, District successfully established that Student could benefit educationally, both academically and socially, from its IEP offer as contained in the February 8, 2011 IEP. Student would benefit from District’s SL therapy offer, as well as its AT/AAC services consultation offer. The evidence further showed that the moderate SDC class at Charlotte Wood, and the mainstreaming opportunity offered to Student as part of District’s offer on February 8, 2011 would benefit student. Based on the evidence, the offer would meet Student’s unique educational need and allow her to receive meaningful educational benefit. Therefore, based on the totality of the evidence, District’s proposed placement and related services for the SY 2011-2012, at the Charlotte Wood school site offers Student a FAPE in the LRE. District may implement Student’s February 8, 2011 IEP without parental consent. Education Code section 56507, subdivision (d), requires that the hearing decision indicate the extent to which each party has prevailed on each issue heard and decided. District prevailed on all issues presented.